we specialize in janitorial services. Ph: 1.855.348.2255 or click below! We customize our commercial cleaning service to meet the needs of our clients. Expect Clean provides superior quality professional janitorial services as well as many other cleaning services that you can depend on. We are a 100% Canadian owned and operated janitorial cleaning & building maintenance company. Expect Clean - Cleaning Services provides affordable commercial cleaning and janitorial services for facilities of all sizes. We cater our services to meet the Janitorial and building maintenance needs of all our clients. Janitorial cleaning, floor care, Industrial Cleaning, Building Maintenance, Construction Cleaning, Window Cleaning and so much more. 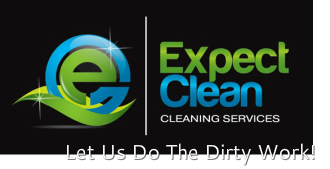 At Expect Clean - Cleaning Services, We are dedicated to achieving 100% client satisfaction. We provide our staff ongoing training to keep them up to date with today's leading technology to assure perfection every time. Expect Clean - Cleaning Services is committed to our clients, that's why we've set a higher standard of cleanliness and we are driven to exceed your expectations in a Janitorial cleaning provider. Expect Clean - Cleaning Services as a commercial cleaning company are always available to visit your site to assess your cleaning and maintenance requirements. We have a wide range of cleaning and janitorial services to offer your business which can be scheduled from a onetime single deep cleaning to regular cleaning on a daily, weekly or monthly basis. We can customize any janitorial service maintenance program to suit your needs and or budget without compromising quality. We work with your budget to achieve results.